Penrhyn Mawr is an 18th Century Welsh longhouse situated in private grounds on the beautiful Isle of Anglesey near to the Menai Strait. 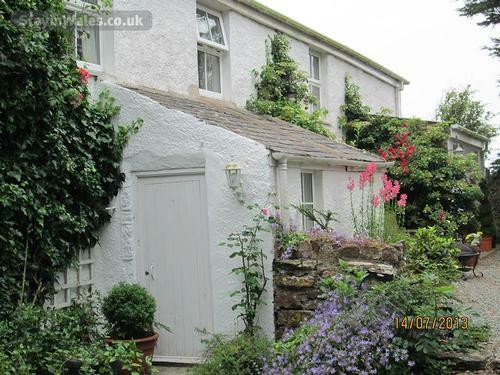 The property, formally a restaurant, has been tastefully restored and converted into two beautiful holiday Cottages. Both Cottages enjoy all modern conveniences whilst remaining full of character. The Castaways has two bedrooms and sleeps 4, whilst Penrhyn Mawr Cottage, which also sleeps 4 has an upstairs lounge with stunning views across the Menai Strait and the Snowdonia Mountain range down to the Llyn Peninsula. Each property has its own private garden area with table, chairs and barbecue. The essence of Penrhyn Mawr is one of peace and tranquility; a chance to get away from the madding crowd and relax in this quiet location. Therefore, it is better suited to adults, and families with older children, who appreciate a quiet environment. There is a duck pond within the grounds. Fully fitted cream country kitchen, with electric hob and oven, dishwasher, fridge, freezer, microwave, toaster, kettle and tv. The kitchen is very well equipped with cutlery, utensils, crockery, glasses and pans. There is also a breakfast table and chairs. Leading from the Entrance hall is a utility room which contains a washer/dryer, wc and wash basin. Also downstairs is the white beamed master bedroom with en-suite shower facilities. There is a 5ft king size bed, tv with video and plenty of wardrobe and drawer space. There is an inglenook fireplace with electric flame effect fire. Off the bedroom, the en-suite facilities include a shower, WC and wash basin. Upstairs there is a spacious lounge area with beautiful views across the Menai Strait to Snowdonia and the Llyn Peninsula. There is a wood burning stove, full satellite tv, dvd/video player and selection of videos and DVDs. Books and games are also available. There is a very comfortable 4ft 6ins double sofa bed with memory foam mattress in the lounge area. Hanging space and drawer space provided. Also in the lounge is a dining table and chairs which give the opportunity to enjoy a meal and take in the magnificent views at the same time. The cottage has full gas central heating and all electricity, gas, logs and coal is included in the cost. Outside there is a gravelled area and a patio area with table, chairs and umbrella. A barbecue is also provided. There is a large private area laid to lawn for your use and ample parking space is available at the side of the property. One well trained dog welcome. 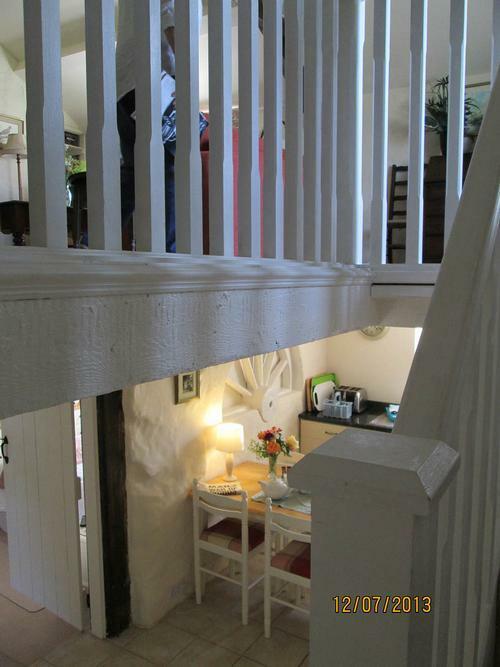 Also available: The Castaways - 2 bedroom Cottage; sleeps up to 4. Please phone for details. Beautiful sandy beaches, a Riding Centre, Anglesey Sea Zoo, Foel farm, Golf driving range and many other fabulous attractions are just a short drive away. Beyond the mountains of Snowdonia lie 2 famous bridges across the Menai Strait. They lead to an island where peaceful lanes wind to lakes, forests and long, sandy beaches. It is easy to imagine past centuries - druids cursing the Roman invaders, archers loosing arrows at castle battlements, or tall ships sailing up the Menai Strait from a voyage around Cape Horn. However, Anglesey does not live in the past. It is a centre of modern Welsh culture and language which offers a welcome to people from all over the world. Many visitors come to Anglesey for family holidays, to sail, walk or fish, to explore rock pools or watch birds. It is an unspoiled island, to relax and enjoy the peaceful farmland, pretty villages historic towns and the panoramic views of the mountains and the sea. The accommodation is situated off the A4080 about 2 miles from the village of Dwyran. 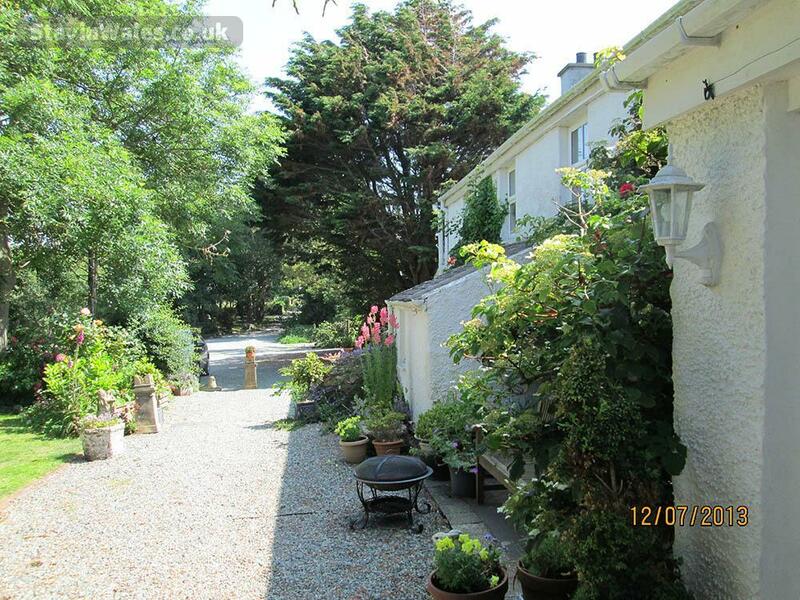 It is also near to the renowned Newborough forest and beach of Llandwen. The village of Dwyran, with its 12th Century parish church, is largely residential and is sited the Afon, a small river that takes its name from Brigantia, Goddess of the ancient Celts. Just outside the village is the Anglesey Model Village where many of the Island's landmarks are recreated in miniature. South of Dwyran, lanes lead through woods and fields to the Menai Strait. Visit Tal y Foel Riding Centre and other attractions such as the Anglesey Sea Zoo, Foel farm, Golf driving range and Henblas Country Park and glorious clean beaches just a ten minute drive away. "A delightful cottage, a perfect home from home. We wished we were staying longer. We will definitely be back to enjoy the comforts of Penrhyn Mawr Cottage again. Perfect hosts." Please check the calendar, which is kept up to date, for current availability. All bookings are from Saturday to Saturday from 3pm on the day of arrival to 10am on day of departure. This is to allow sufficient time for our cleaners to prepare the accommodation properly between lets. A provisional booking may be made by telephone or e-mail but must be confirmed in writing within 7 days. Payment: A deposit of £50 is required to confirm a booking. The balance is due 3 weeks before the date of arrival.